Hyundai Elite i20 is one of the most feature-rich cars in the B-segment premium hatchback category. Korean car manufacturer Hyundai is famous for producing some of the most feature-laden cars in their respective segments and with the Elite i20, the company grabbed the eyes of several potential buyers. The automaker launched the Hyundai i20 back in the year 2008 in the premium hatchback segment, and the car gained instant popularity among the buyers for its futuristic design and noteworthy offerings inside the cabin. Soon, it became one of the best-selling cars in the country. Later, in the year 2014, Hyundai re-launched the i20 and renamed it as Elite i20. The Hyundai Elite i20 is an all-new model over its predecessor and sports an all-new look which is bolder and muscular. 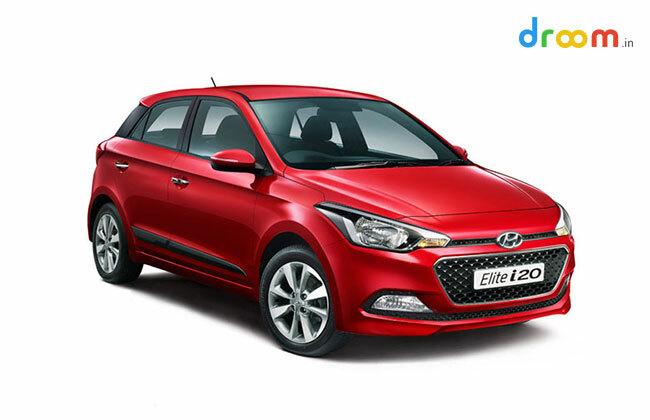 Hyundai Elite i20 is preferred by several used car buyers across the country who want to purchase a good premium hatchback at an affordable price. Used Hyundai Elite i20 comes powered by a 1.2-litre petrol engine, a 1.4-litre U2 CRDi diesel unit and a 1.4-litre petrol mill. Also, you can choose from a variety of colour options that are available in the market including Red Passion, Sleek Silver, Polar White, Star Dust, Marina Blue, Red passion/Phantom Black and Polar White/Phantom Black. The car comes with the reliability factor of the Korean car maker and returns great resale value. Being one of the best pre-owned cars to buy in India today, used Hyundai Elite i20 comes in various variants and all the variants and colour options are available for sale across the country. At Droom, we have the largest collection of second-hand Hyundai Elite i20 in India.